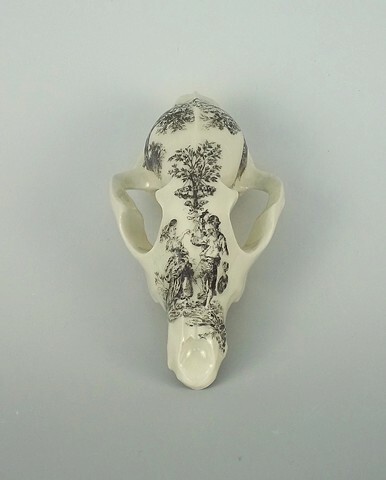 Lovers meet furtively in this toile pattern; the only witness is the fox. Original stoneware sculpture with modified ceramic transfers. Bursting with exuberance, no two of my decaled sculptures are the same.